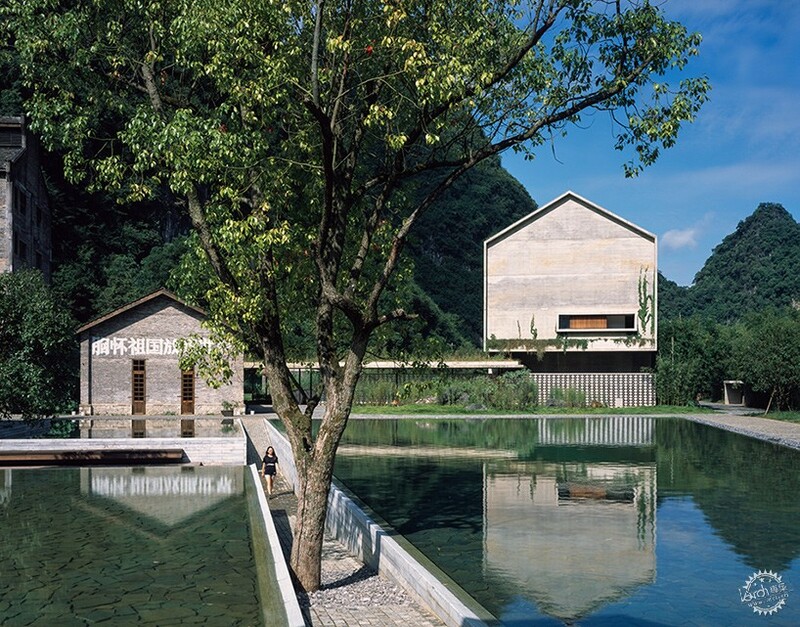 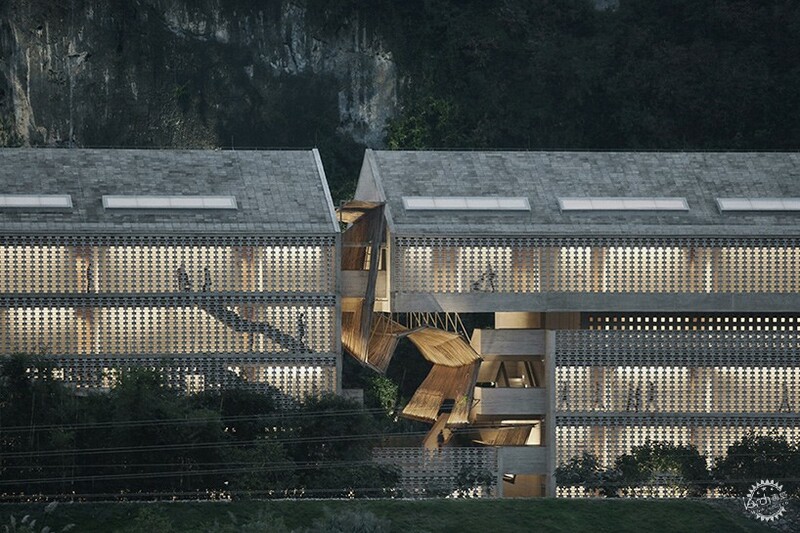 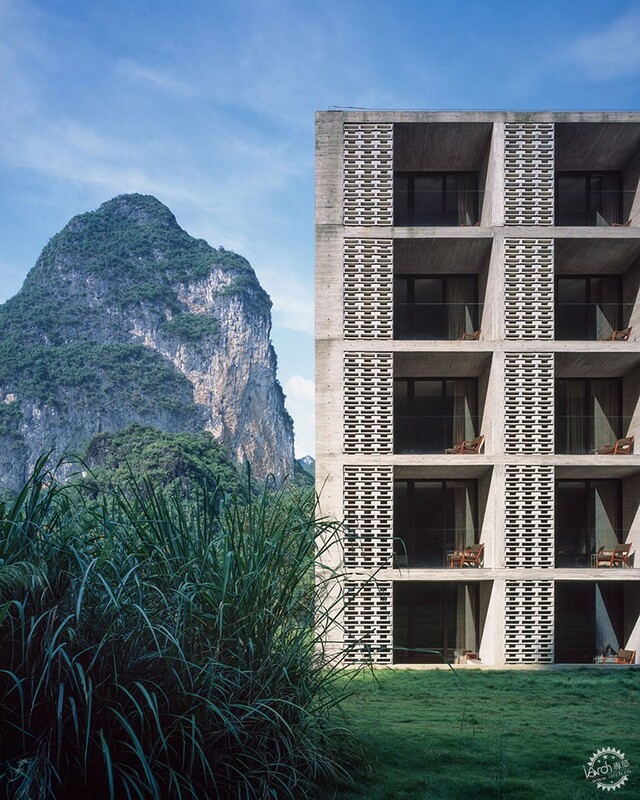 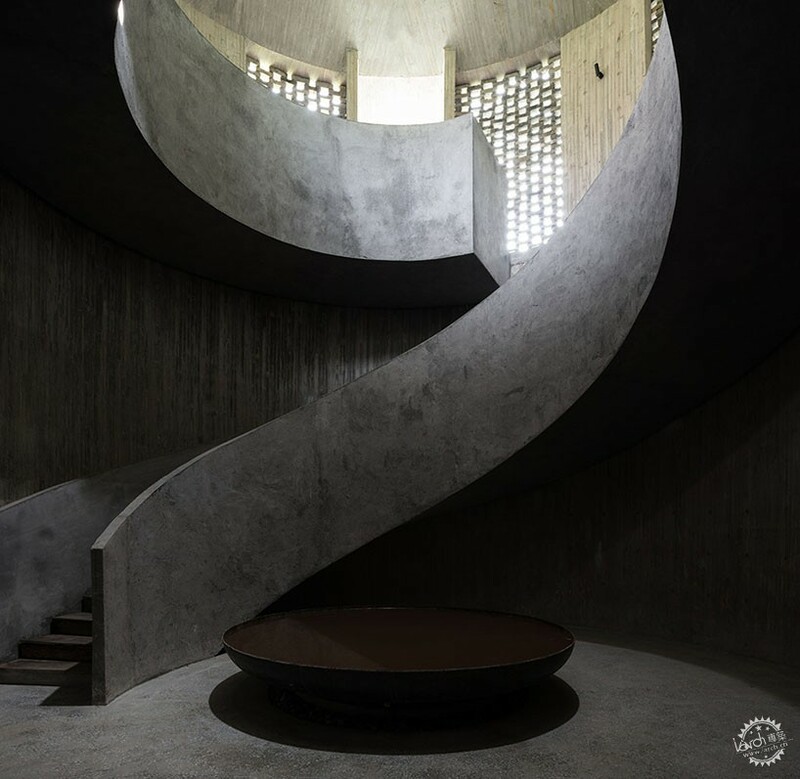 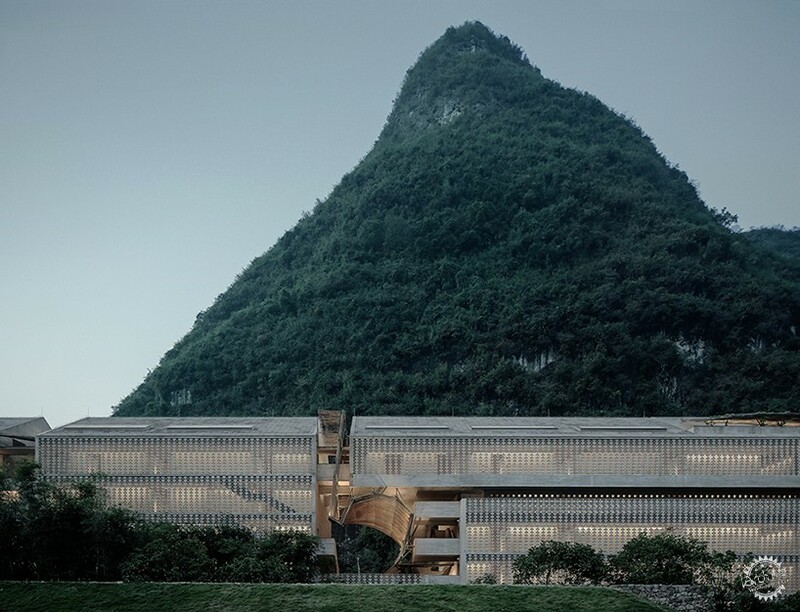 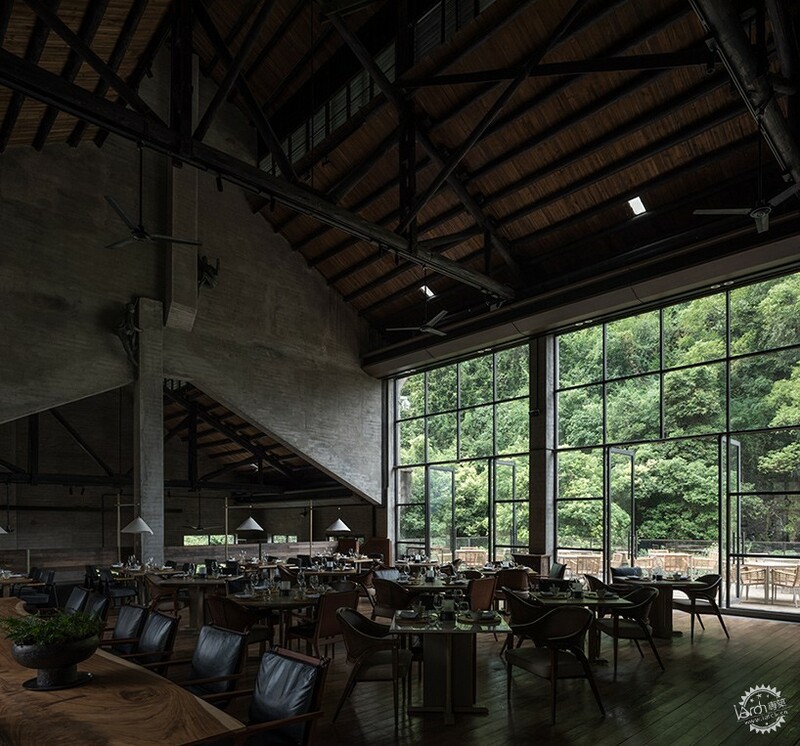 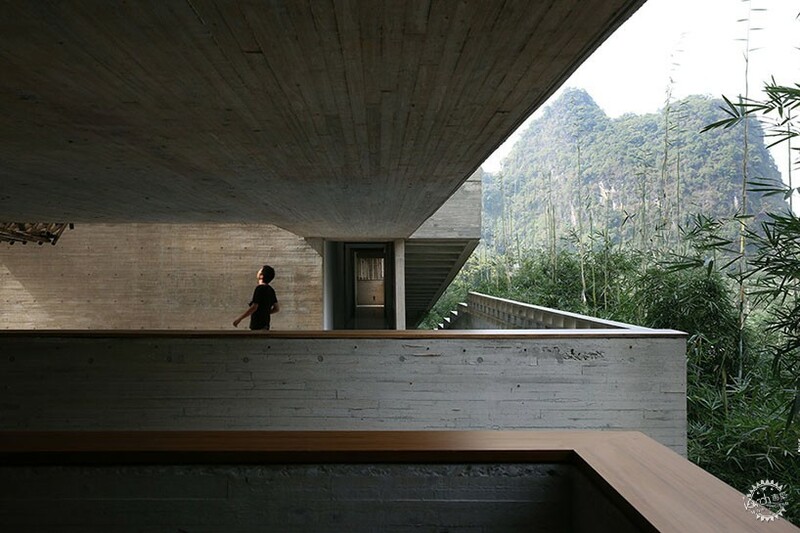 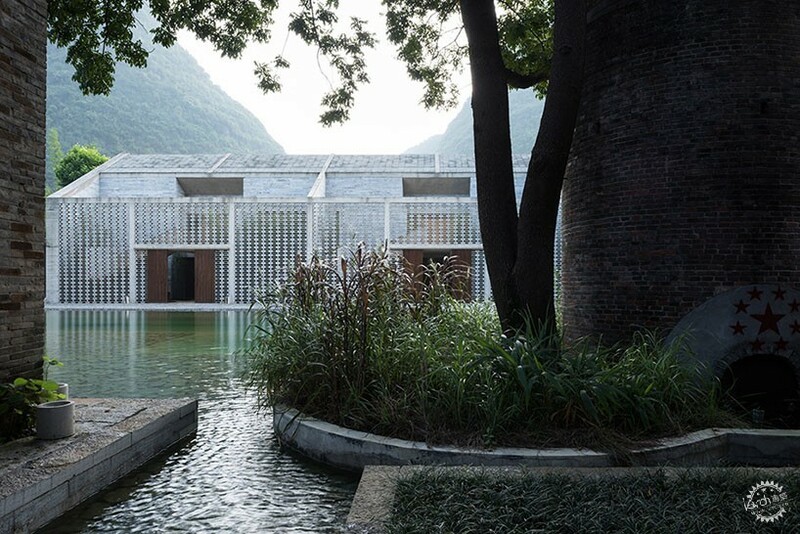 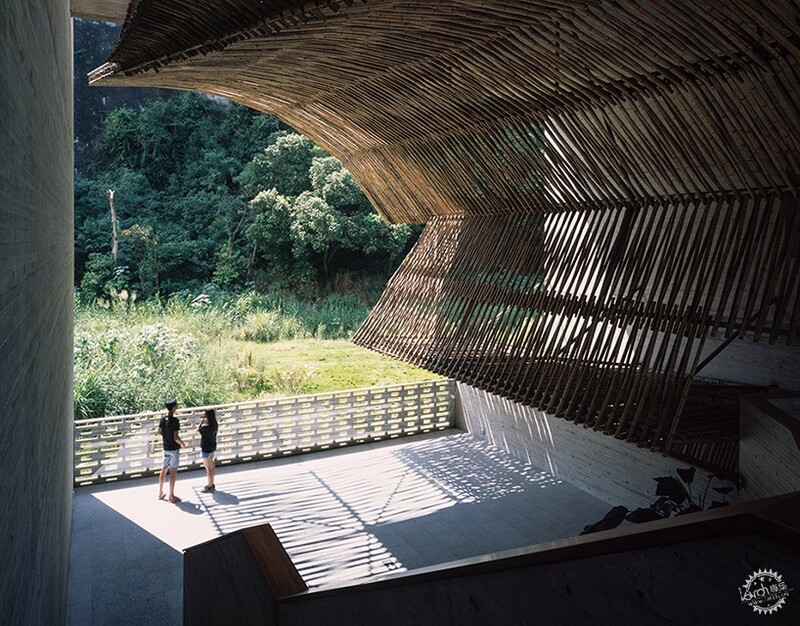 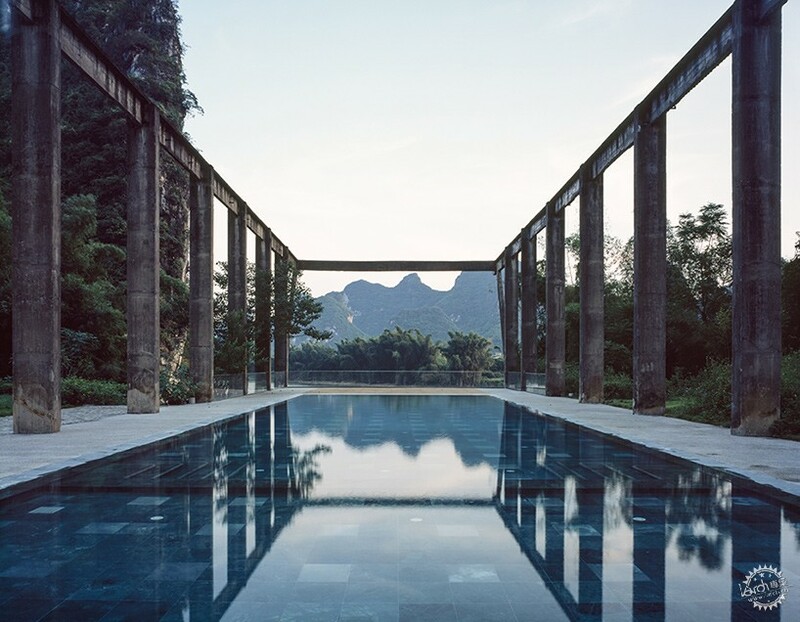 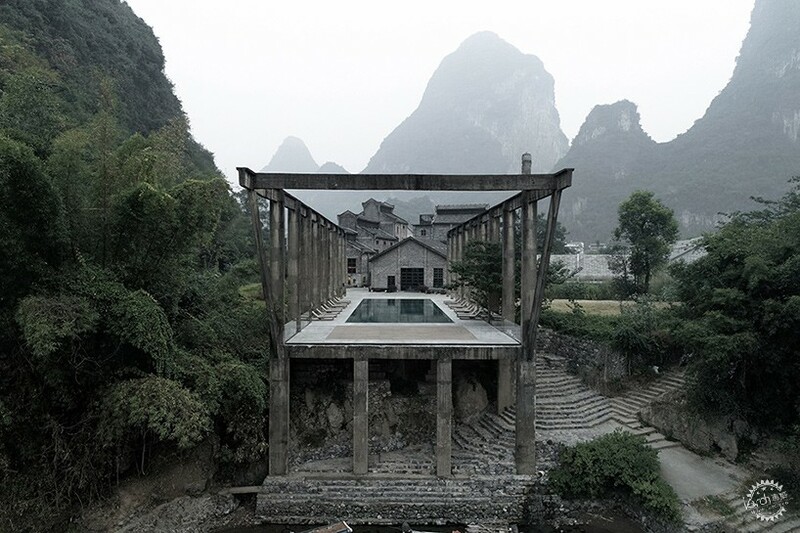 Vector architects has transformed a 1960s sugar mill into a hotel complex in southern china’s guangxi region. 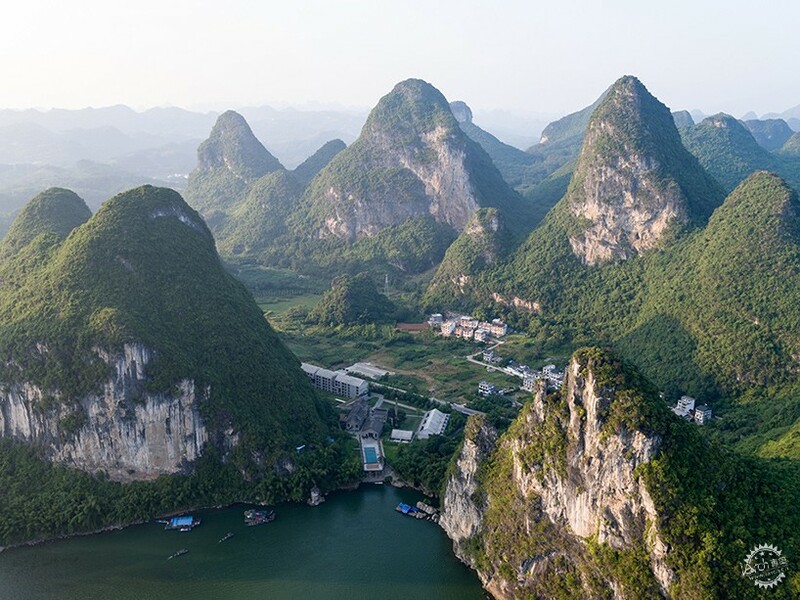 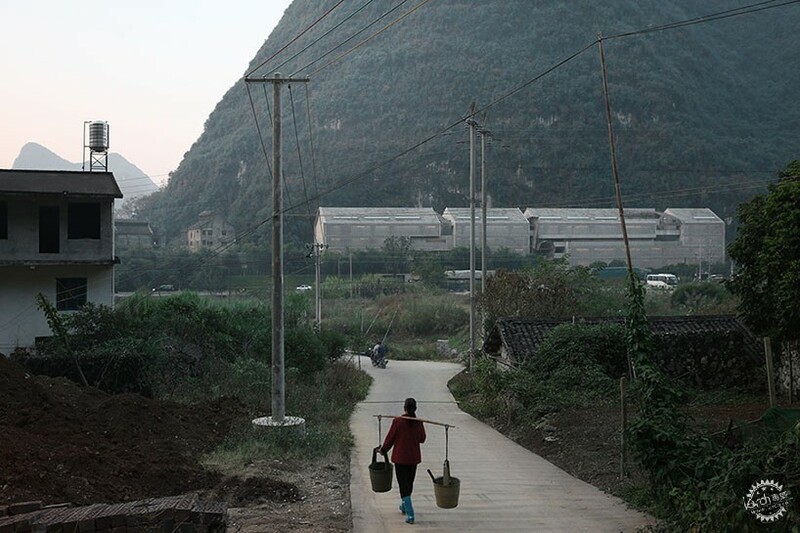 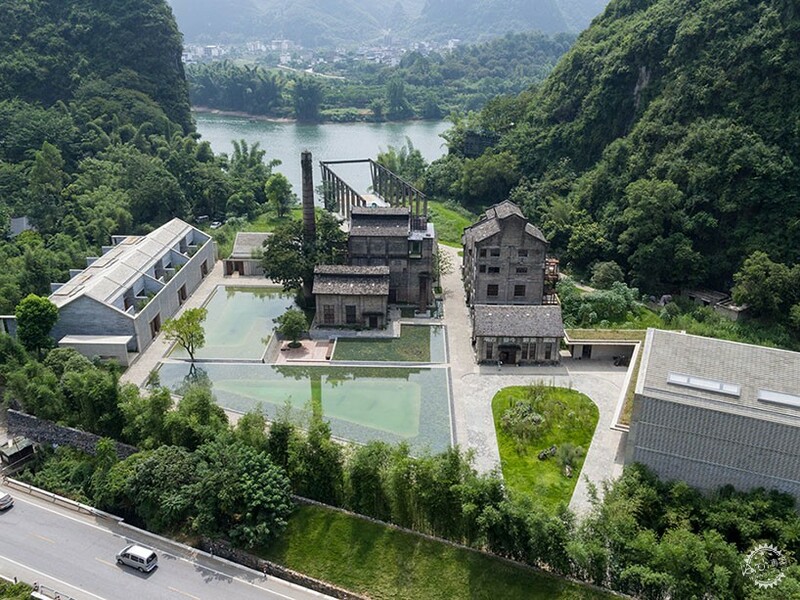 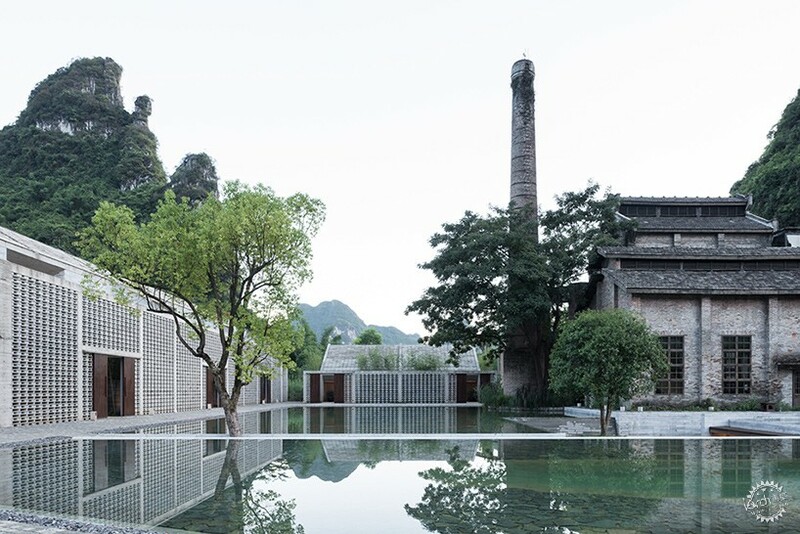 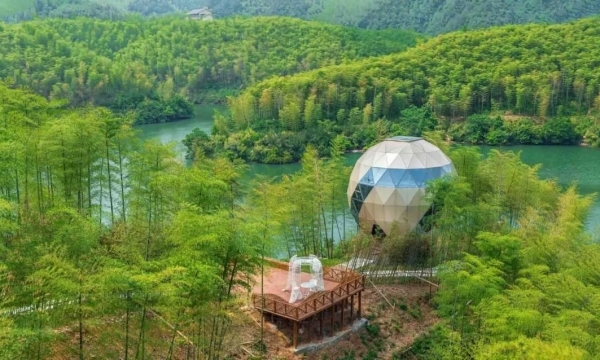 Surrounded by the dramatic karst mountain landscape, the project seeks to preserve the site’s industrial heritage by blending the old and new architectural styles. 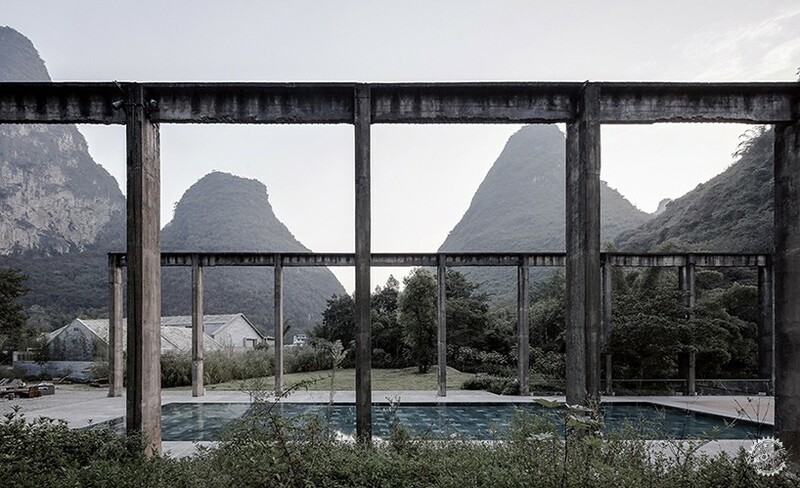 Named ‘alila yangshuo’, the hotel’s existing structures — the sugar mill and industrial truss — are flanked by larger buildings primarily used for guest accommodation. 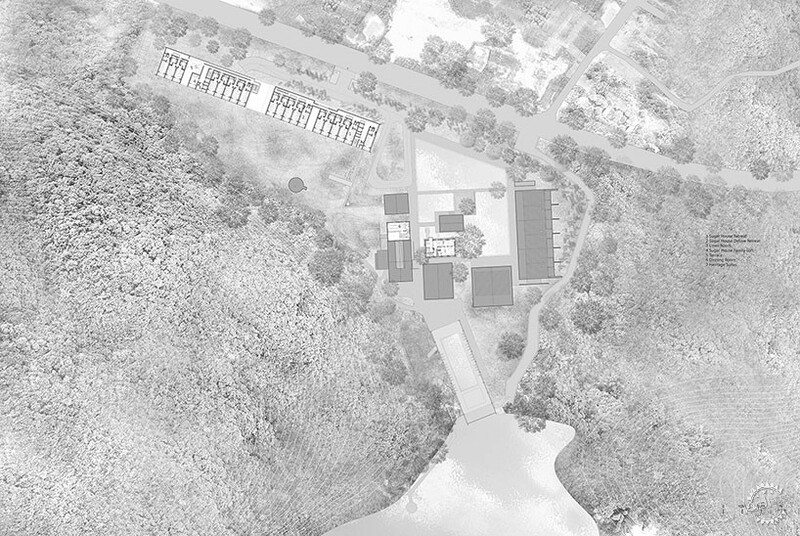 Meanwhile, a sunken plaza and reflecting pool have been re-designed to complement the historic architecture. 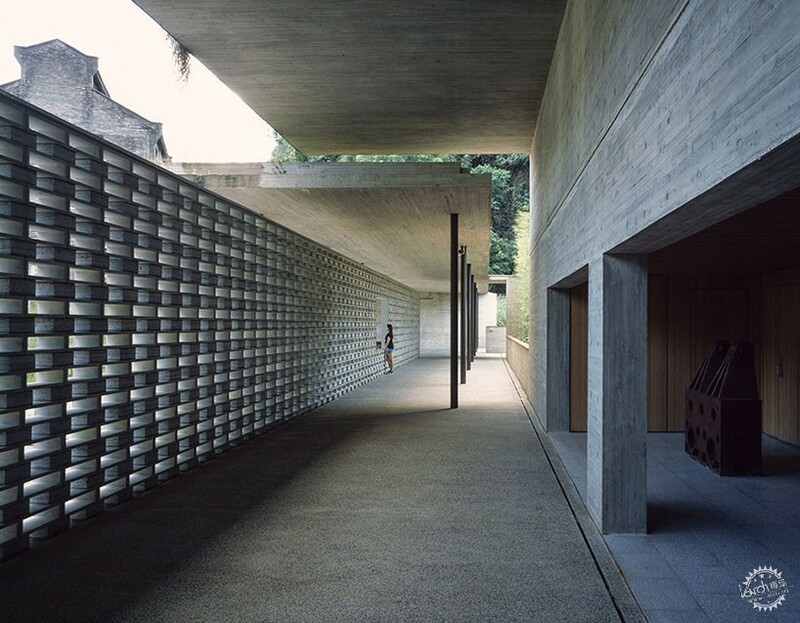 Rather than replicating the old buildings’ materiality and texture, vector architects and interior designer ju bin of horizontal space design sought to use comparable, but contemporary materials and construction methods in order to establish continuity. 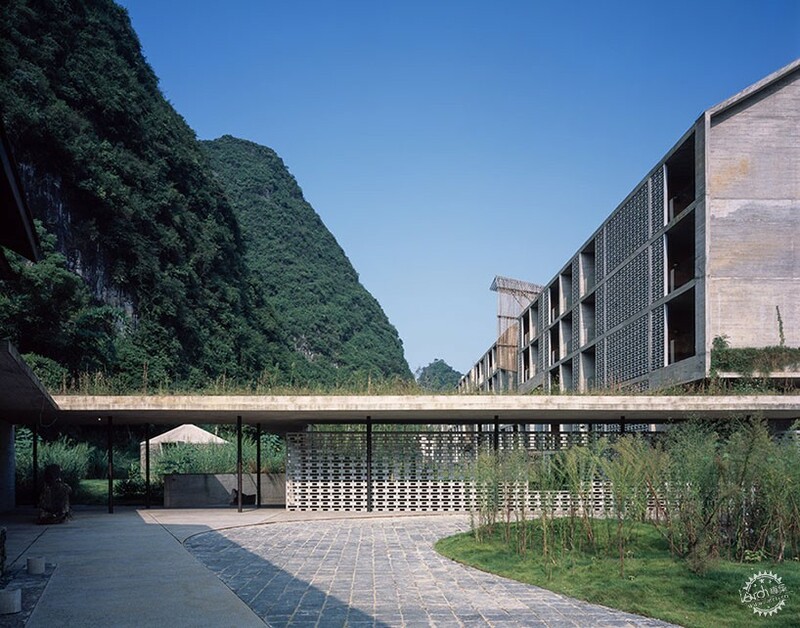 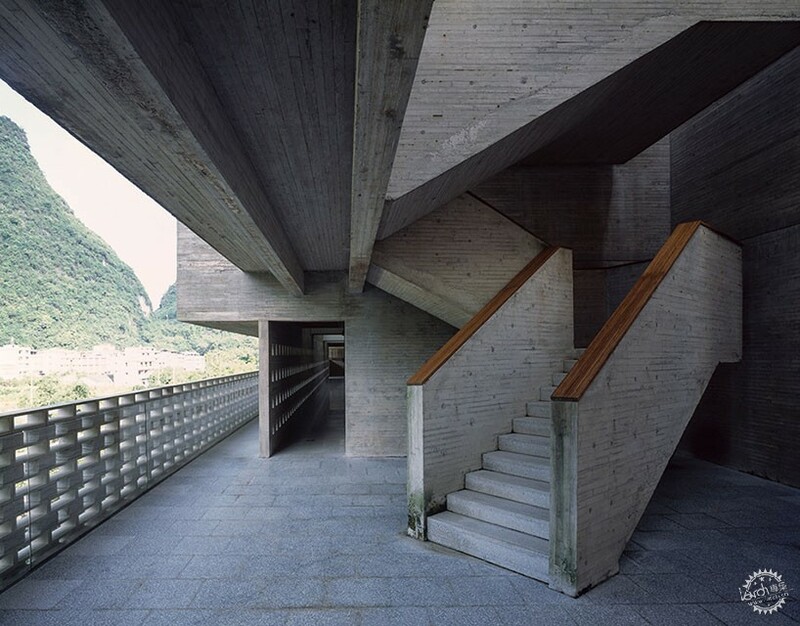 The main building, which contains guest rooms, has been built using hollow concrete blocks and board formed concrete — choices which ensure a relationship with the existing mill. 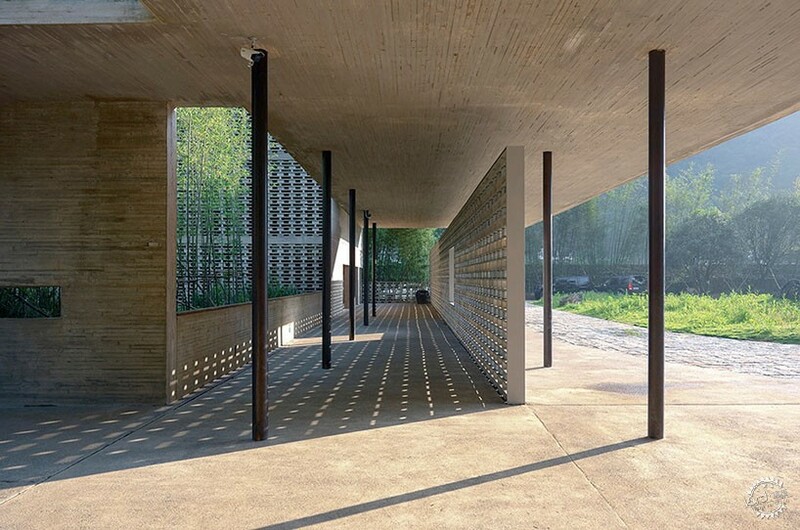 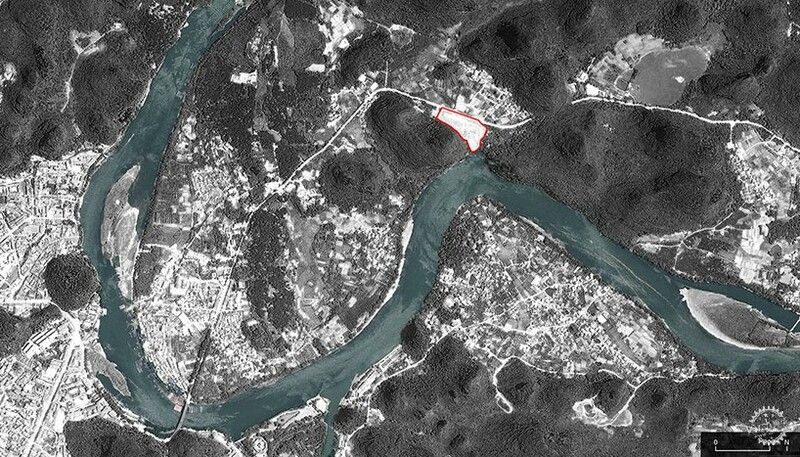 Meanwhile, all new buildings have all been designed to sit as long to the ground as possible, ensuring that they do not detract from the presence of the neighboring structures. 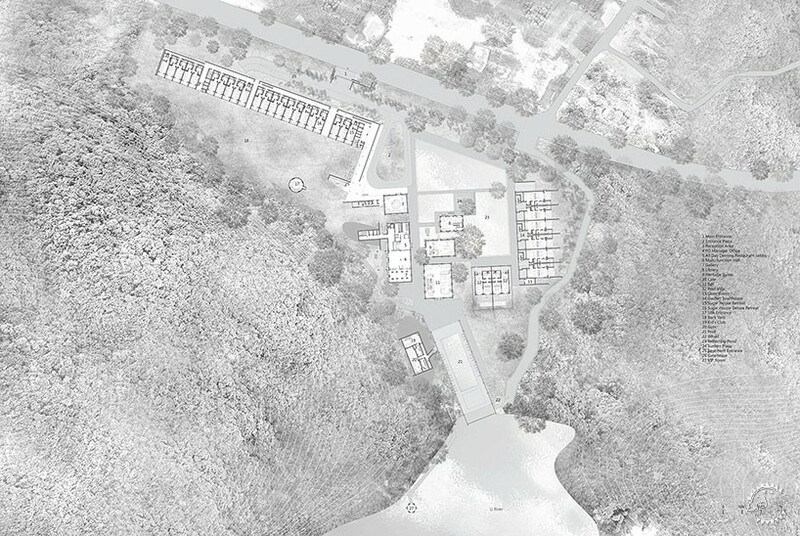 Between the various buildings, the site has been conceived as a garden for hotel guests to wander. 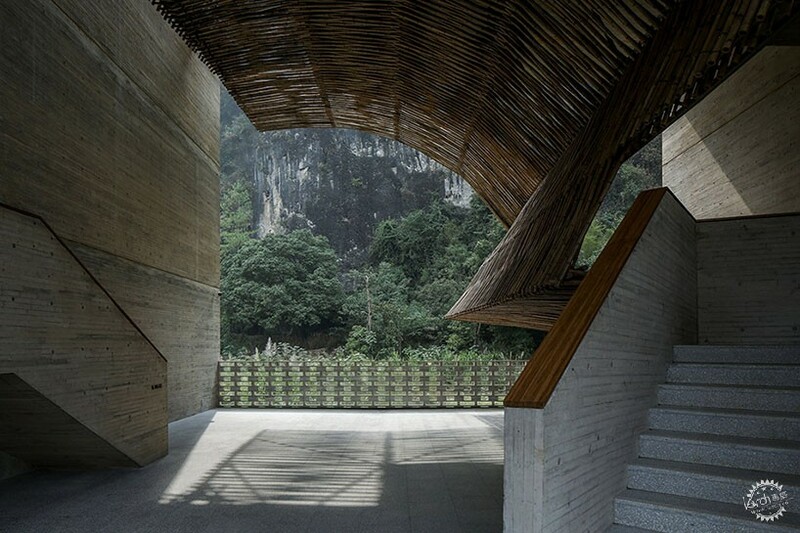 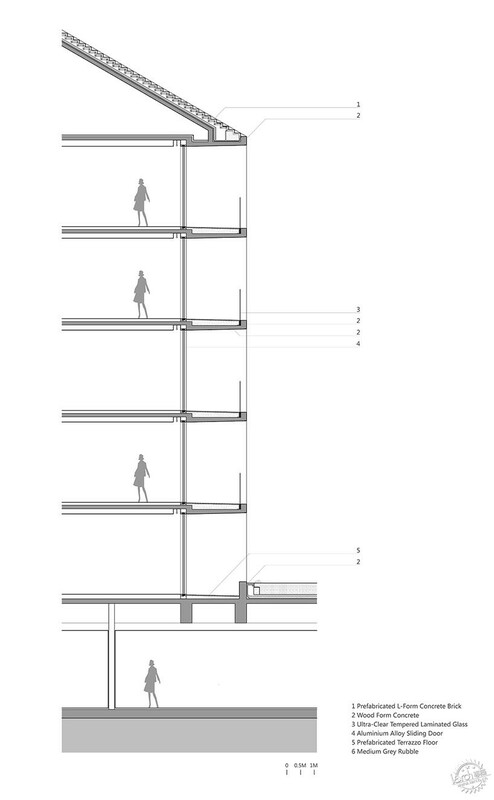 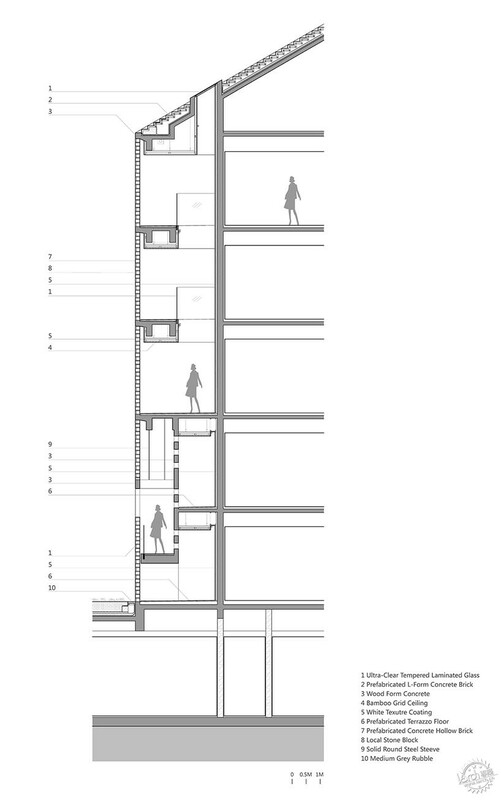 The main building comprises two circulation systems: one, a functional corridor system, while the other is a walkway that connects three cave-like spaces. 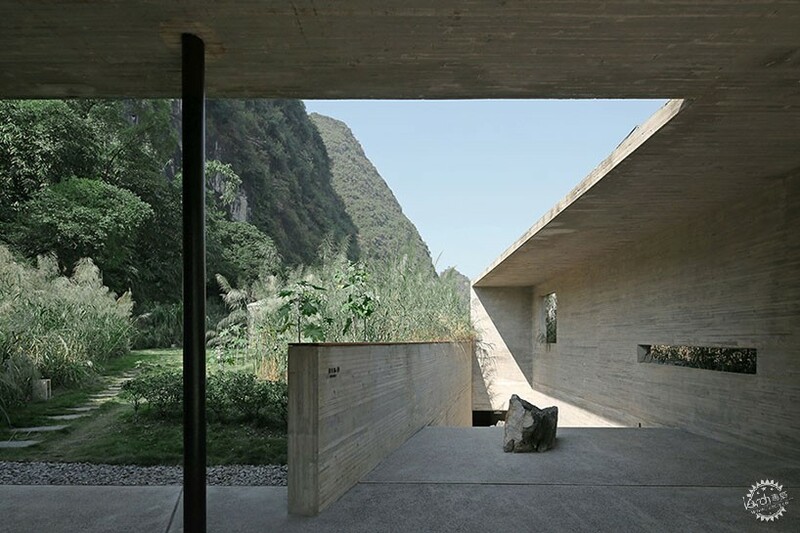 The ‘caves’ are carefully located so that they provide sightlines towards the surrounding mountains. 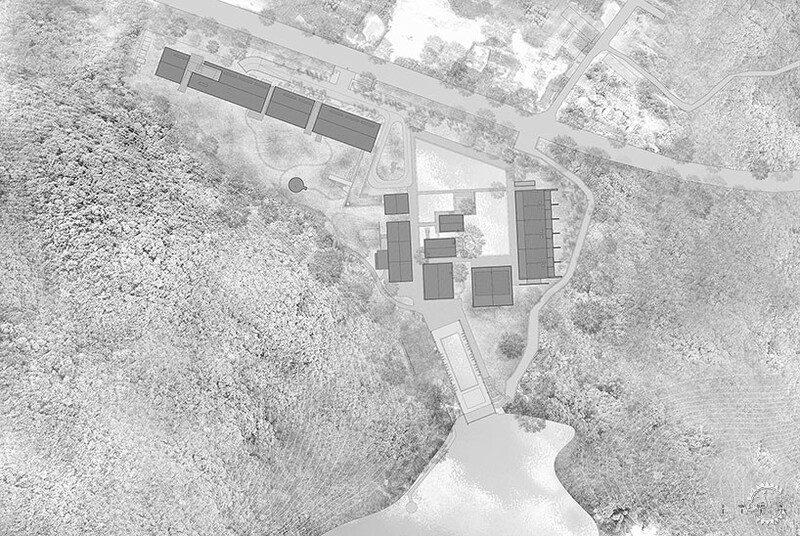 This second route — an extension of the ground level promenade — allows visitors to experience different areas of light and shade, as well as different views of the framed landscape.